Reason For Self Balancing Scooters Explosion - Myth Busted! Finally, the myth busted! Here is the main reason for exploding Self Balancing Scooters or Hoverboards.It's not because of the internal motor or other. Self-balancing scooters or Segways are becoming popular with another name called “Hoverboards”. Though the name is not apt as per the Back to the Future movie series, where the protagonist Marty McFly uses wheel-less skateboard & hover in the air, thus calling the gadget as Hoverboard but the one which is becoming popular now is quite different. With its popularity, the self balancing scooters raised attention to gift it on several occasions. It can be your birthday or an anniversary you can find this as a gift by your techie or geek friend. This made it be the most popular gift in the holidays, but there is a bad news which you need to know! Self balancing scooters are exploding! A few weeks back, the self-balanced two wheeler exploded due to unknown reasons & burnt down an entire house in Louisiana. This news became viral & many people reported that same thing is happening everywhere in the state. In another news, a gyro board caused significant damage to a home in New York. Recently at a mall in Washington, a scooter board caught fire and shoppers were forced to evacuate. The perceived danger is significant enough that major airlines have banned the little vehicles altogether & even Amazon stopped selling the Hoverboard. But what is causing this explosion of hoverboards? We found the main reason behind this explosion. It is not because of components of the motor or some other components, the explosion is mainly because of Lithium-ion batteries inside these things. 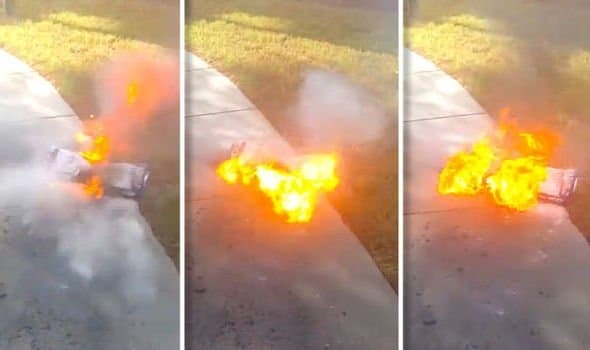 The Li-ion batteries, that are tucked in one of the foot rests, which work the same way as the lithium-ion batteries in our smartphones, tablets, and laptop is the major reason for causing the explosion. These batteries are cheap graded in many of these Chinese made hoverboards. The reputed models like Xiaomi Ninebot, are expensive, so most of the buyers show interest from other manufacturers. The other affordable brands uses cheap components and low-grade batteries. These brands lure customers, who don’t want to spend a grand or more on a hands-free Segway. Figuratively speaking, a slew of cut-rate brands are flooding the market with shoddy scooters which are made from cheap components. There are a lot of factories in China that now make Li-ion batteries, and the reality is that the quality and consistency of these batteries are typically not as good as what we find in top tier producers such as LG, Samsung etc. With these cheap batteries, a lot of things can cause fires. For one, the nature of a scooter board—it can bang into stuff, smash into things at high speeds. 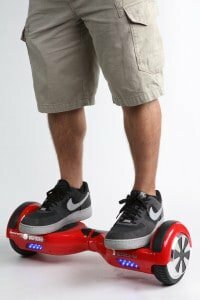 Taking the above reasons, Federal safety regulation are stepping up for investigating the whole of Segways, that are being manufactured or imported to the US. The agency is collecting samples of hoverboards and shipping them to a national lab in suburban Washington, D.C., for analysis. 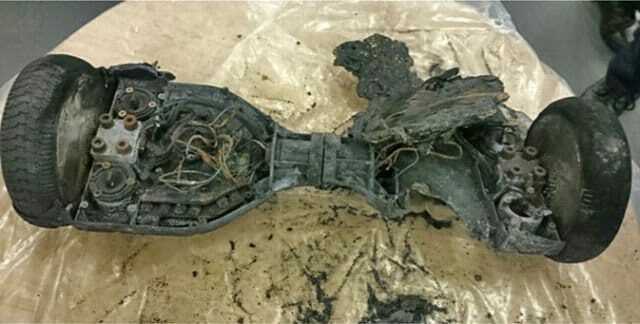 If these gadgets continue to explode, there would be new regulations coming to place in manufacturing and buying of hoverboards in US and other parts of the country. However, if you wish you may buy one of them from here.